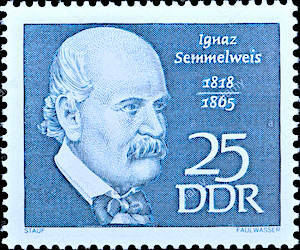 This Canada Day marked the 200th birthday of Ignaz Semmelweis, who discovered that physicians could drastically reduce deaths from childbed fever by washing their hands before delivering babies. Fellow physicians threw shade on the findings, and carried on killing mothers and babies. 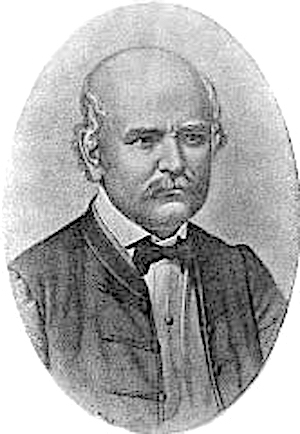 Eventually, a dispirited Semmelweis was committed to an asylum, where guards beat him to death 14 days later. 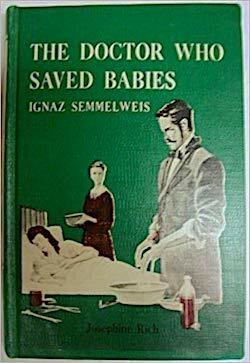 Only years later, when Louis Pasteur discovered germs and Joseph Lister showed that hygienic methods lower surgical mortality, was Semmelweis posthumously vindicated. The germ theory will get a fresh airing Thursday in a Halifax hotel conference room when a Human Rights Board of Inquiry hears a complaint of discrimination against Environment Minister Iain Rankin. Four wheelchair users say Rankin is endangering their health by not enforcing a Food Safety Regulation requiring restaurants to have “washroom facilities for the public available in a convenient location.” This means they can’t wash their hands before eating. The complainants fought a two-year battle with the Human Rights Commission just to get their complaint heard, and the commission continues to sit on its hands, refusing to take sides in the case. A news release by wheelchair activist Gus Reed, one of the complainants, explains the dispute. (Disclosure: I had a hand in editing the release.) I’ll live-tweet Thursday’s proceedings (@kempthead; hashtag #Ignaz). Four wheelchair users who say Environment Minister Iain Rankin is endangering their health with discriminatory enforcement of the province’s Food Safety Regulations will get a hearing before a human rights Board of Inquiry Thursday. The regulations require restaurants to have “washroom facilities for the public available in a convenient location.” The complainants say the provision is necessary to ensure their access to basic hygiene, but is unenforced in hundreds of restaurants lacking accessible washrooms. It has taken them 707 days to get the matter before an official board of inquiry. The Human Rights Commission twice refused to accept the complaint before Mr. Justice Frank Edwards of the Nova Scotia Supreme Court, in a sharply worded decision, ordered it to proceed. In an unusual step, the commission, which normally supports complainants at such hearings, has taken no position on the dispute, and will maintain only a “watching brief” at the hearing. David Fraser of McInnes Cooper is representing the complainants without charge. “We are seeking the same health protections afforded to all Nova Scotians,” said Reed. A report from the Nova Scotia Health Authority says the province investigated 44 outbreaks of norovirus, commonly called stomach flu, in 2011 and 2012. At least 53 staff and customers of a restaurant on the Halifax waterfront contracted Norovirus in 2012. Passengers from an infected cruise ship were the suspected source. Just last week, up to 70 staff and customers of a Halifax hotel fell victim to an outbreak. In addition to Vienneau and Reed, the complainants include Jeremy MacDonald, Ben Marston and Kelly McKenna.